Love Spells, How To Choose The Right One? A few years ago we had the pleasure of helping a Client achieve the career opportunity of a lifetime. 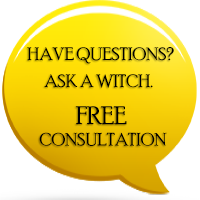 This week she is back, needing help choosing the right Love Spell to bring her partner back home. Like most of our Clients, sometimes choosing the right Spell is the toughest part of beginning their journey to bring their desires to life. Like most, chances are that you browse, weigh options, then ask for help. Our most common questions revolve around Love and rekindling the special bond that once existed.